You are here: HomenextBrowse ArticlesnextPeoplenextDoctors and NursesnextDr. Vincent F. Tyndall M.B. CHB. Dr. Tyndall was a General Practitioner in Benfleet from 1946 to approximately 1983. Working originally from his small surgery in Benfleet High Road and then moving to a larger house and surgery just a few hundred yards along the road. He remained there as a family doctor until the development of the Rushbottom Lane facility. Vincent Frederick Tyndall was born in Calcutta in 1916 but when his father died just a few months after his birth, they returned to the family home in Forfar, Scotland. Educated at Forfar Academy and St. Andrews University, he graduated in medicine in 1940. It was during his training at The Dundee Royal Infirmary that he met and married his wife Olive, a nursing sister, who was his nurse and receptionist throughout his working life in Benfleet. Vincent served in the Royal Army Medical Corp from 1942 – 1946 and was seriously wounded in Caen, France before moving to Benfleet in 1946. In addition to his General Medical practice he served as a Divisional Surgeon and Officer of the Order of St. John. During the Canvey floods of 1953 Dr and Mrs Tyndall opened their house and surgery to the victims and aid workers who were working on the island. 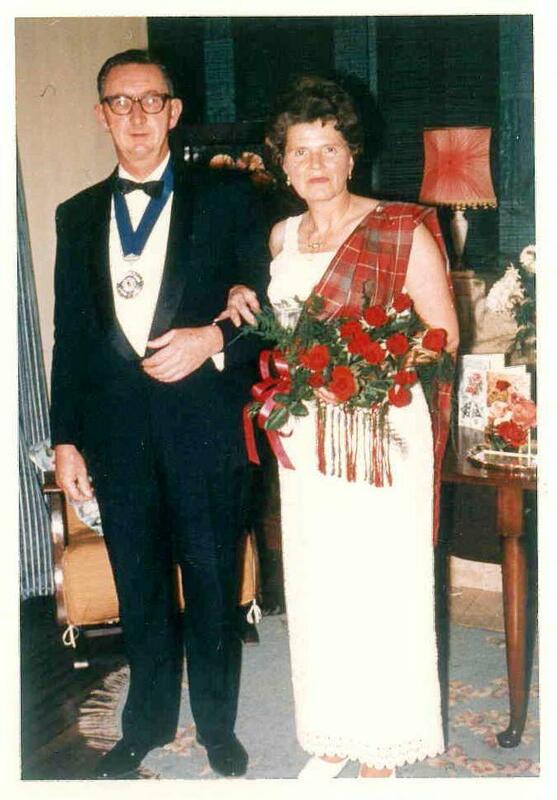 He remained immensely proud of his Scottish Ancestry and was twice elected President of the local Scottish Society and he was also an enthusiastic Scottish dancer. Dr Tyndall, with colleagues Dr Acres, Dr Taylor and Dr Sutcliffe. January 1982. 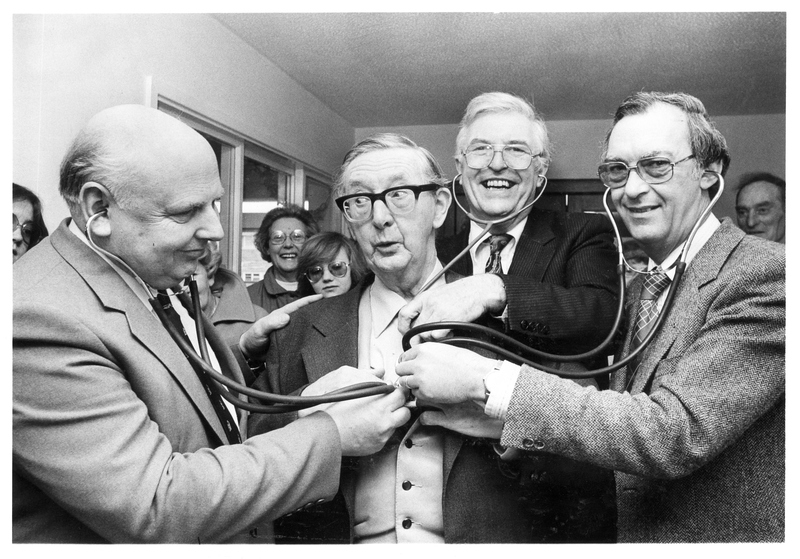 Dr Tyndall was our family doctor for decades. I can still remember walking up the drive to his surgery in the big 1930’s house. I remember the stack of little numbered tiles on the receptionist’s desk, you took one before you sat in the waiting room. When you were shown through to his surgery, he would revolve around in his chair and as you sat down he would swing his anglepoise lamp down to have a closer look at your particular ailment. I can still hear the Scottish burr in his voice. I remember too playing in the garden of his house with my school-mate Andy Masson who was related to the doctor I believe.